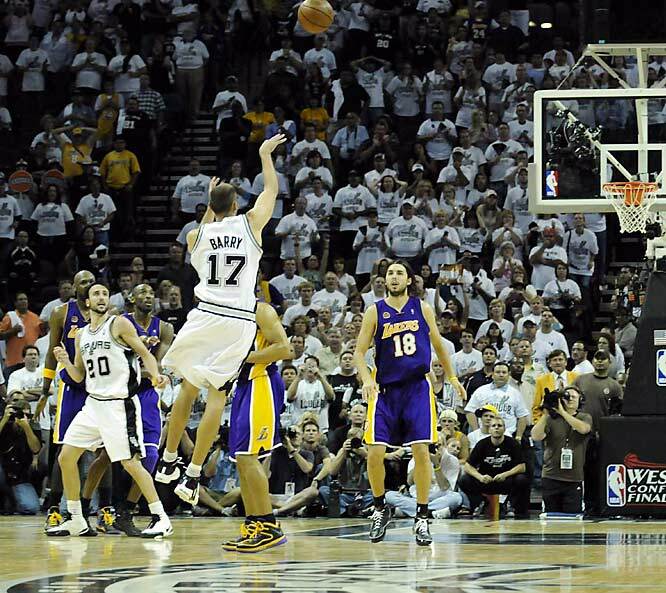 Was Brent Barry fouled by the Derek Fisher on his last-second, 3-point attempt against the Lakers? The referees didn't call it, but the NBA later issued a statement saying a two-shot foul should have been called, which would have given the Spurs a chance to tie the game and send it into overtime. Here are some other famous no-calls. Which no-call would you add to the gallery? In college football lore, it's known as the Bush Push. 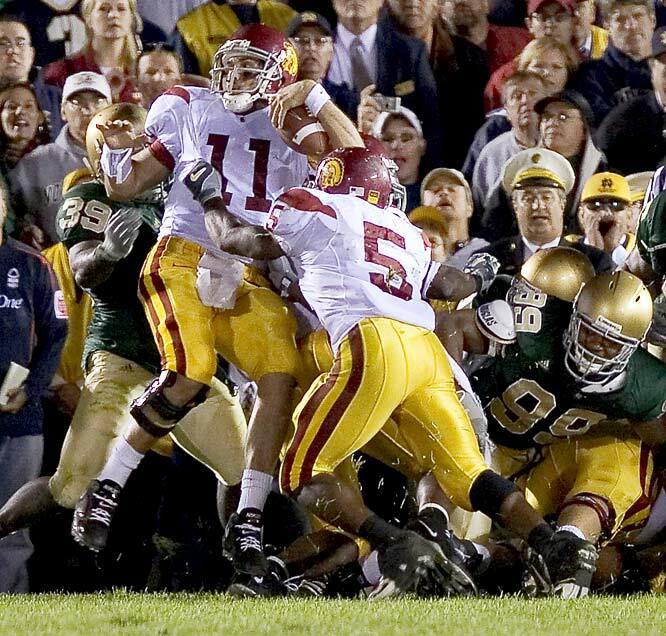 Trailing by three against Notre Dame on the game's final offensive play, USC quarterback Matt Leinart was stopped at the goal line but got an illegal push from Reggie Bush to give the Trojans a 34-31 win and extend their winning streak to 28 games. 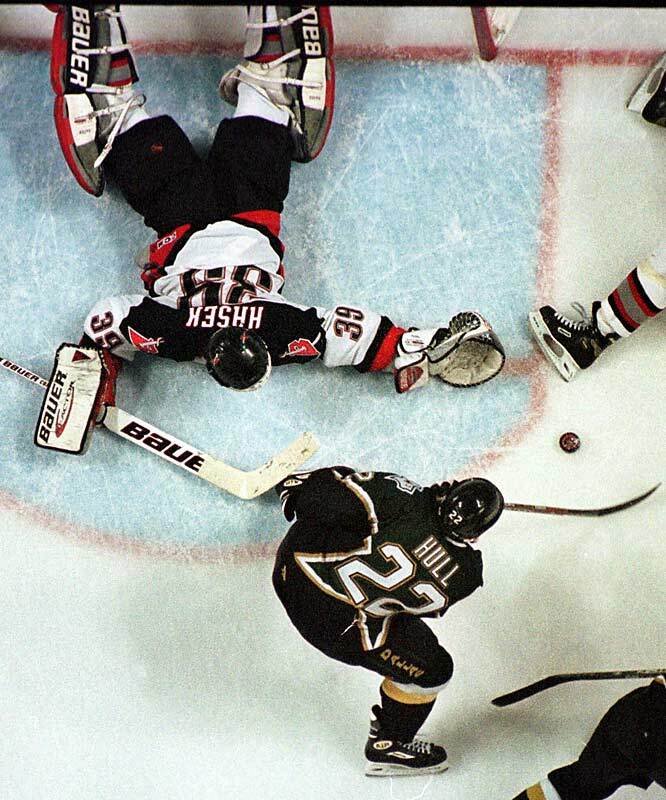 In the annals of Buffalo's snakebitten sports history, the play dubbed "No Goal" is near the top: Stars forward Brett Hull, with his foot clearly in the crease, was credited with what may forever be the most controversial goal in Stanley Cup history. 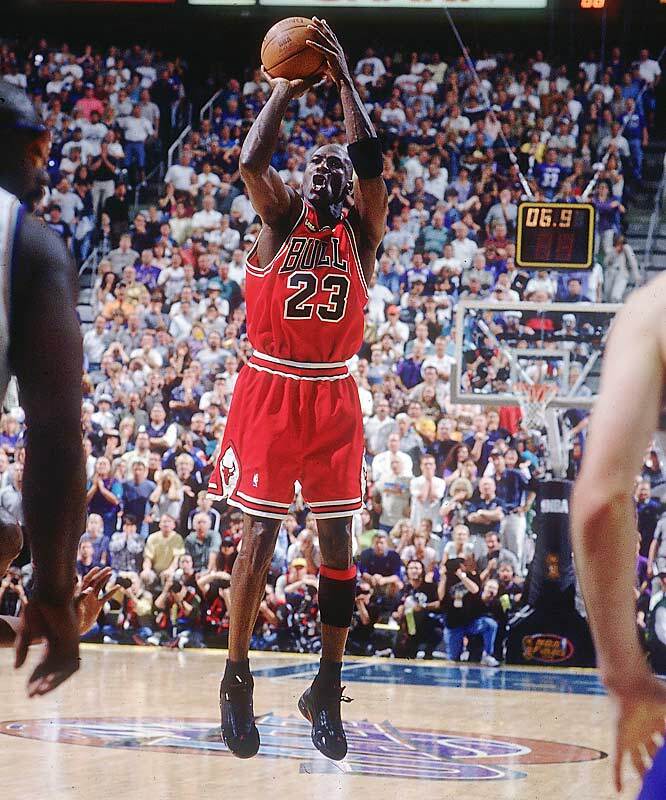 It came in triple-overtime in Game 6 of the 1999 finals, and ended the series. That year it was illegal to score a goal if an offensive player's skate entered the crease before the puck did. The Yankees' late-'90s dynasty was launched thanks to the help of a 12-year-old Yankees fan sitting in the right-field bleachers. 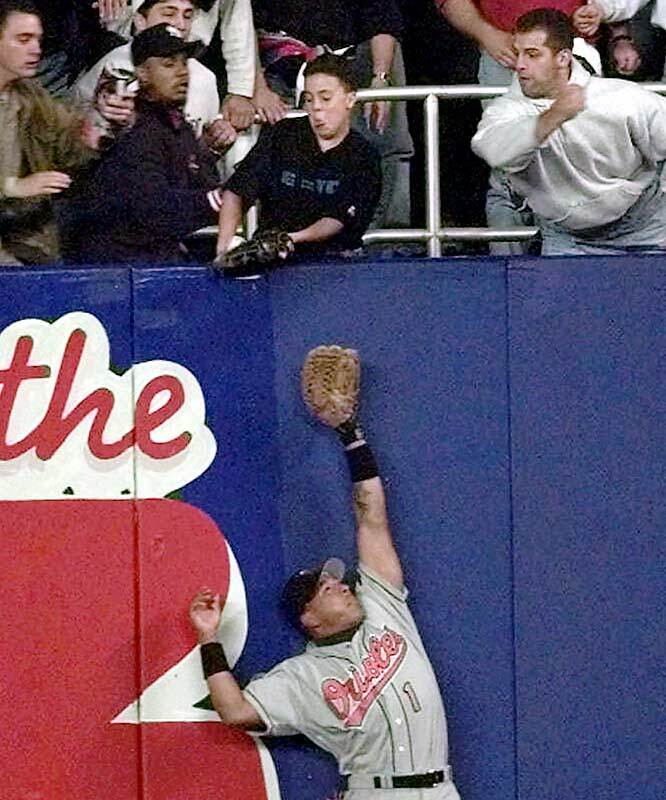 Jeffrey Maier reached over the fence and caught a Derek Jeter flyball before it could settle into Tony Tarasco's glove. Umps incorrectly ruled it a home run. The Yankees would win the game, the AL pennant and the World Series. It's the most famous push in NBA history: Michael Jordan driving two his right, dribbling twice, and nudging Utah's Bryon Russell with his left hand. He then calmly sank a game-winning jumper with 5.2 seconds left to lift the Bulls over the Jazz. The shot gave the Bulls their sixth title in eight years. 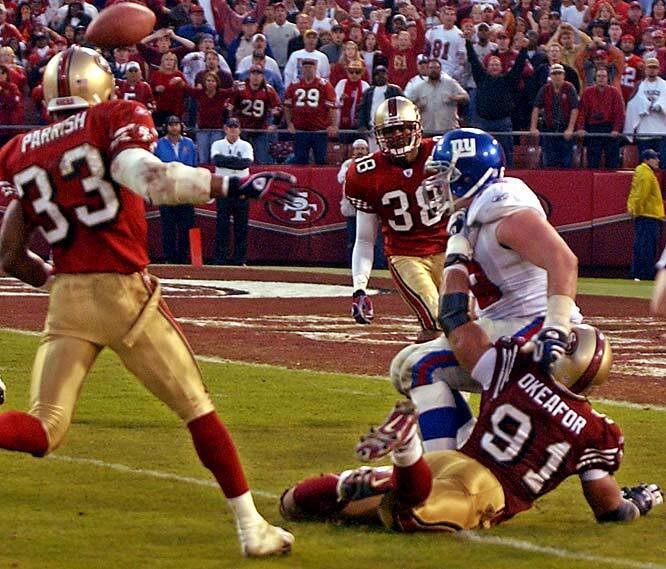 The 49ers rallied from a 24-point deficit to take a 39-38 lead on the Giants late in the fourth quarter. With time expiring, the Giants tried a field-goal but a low snap muffed the attempt. Holder Matt Allen scrambled and threw a pass downfield to offensive lineman Rich Seubert, who was interfered with and the pass fell incomplete. Later, the NFL admitted that the play should have resulted in offsetting penalties and New York should have been given another play. 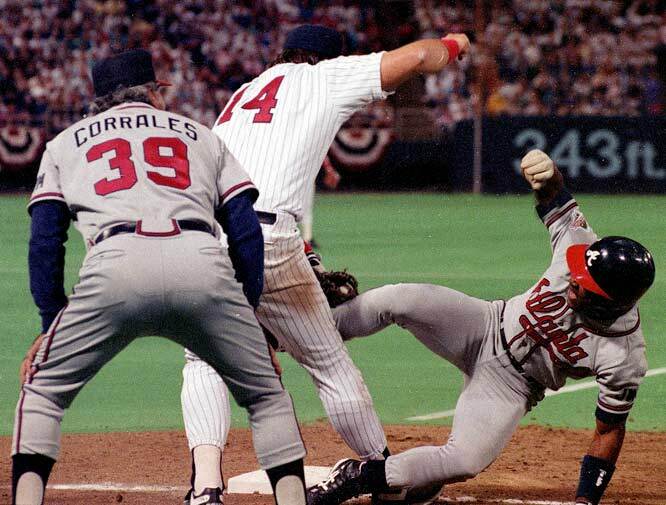 Braves slugger Ron Gant singled and rounded first base, then hurried back to the bag as Twins pitcher Kevin Tapani threw to first baseman Kent Hrbek. That's when the fun started: While applying the tag, Hrbek lifted Gant off the base. Umpire Drew Coble called Gant out and the Braves lost by a run. 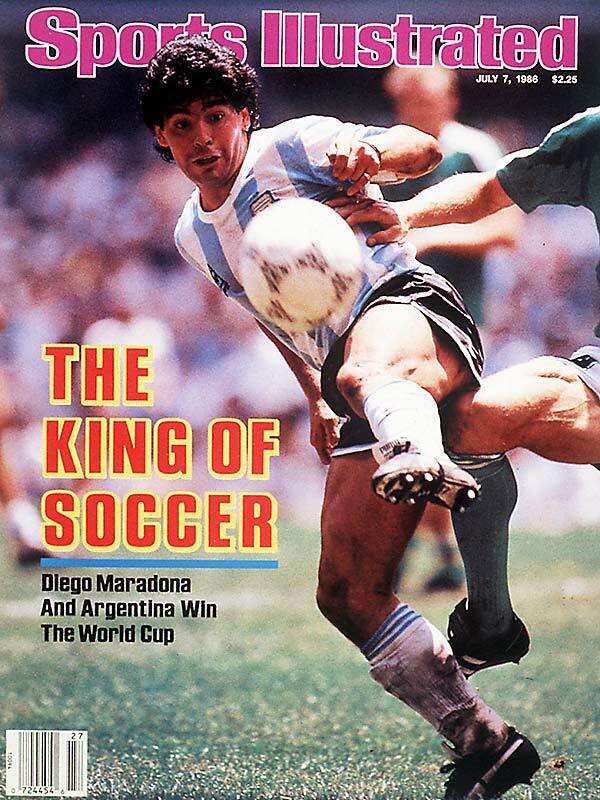 Here's how SI's Steve Rushin described the blown call in Game 3 of the 1992 World Series: "In the fourth inning of the first World Series game ever played outside the U.S., Toronto centerfielder Devon White turned, sprinted and made a back-to-the-ball, chest-to-the-wall, backhanded, face-planted catch of a Dave Justice drive to deepest center. 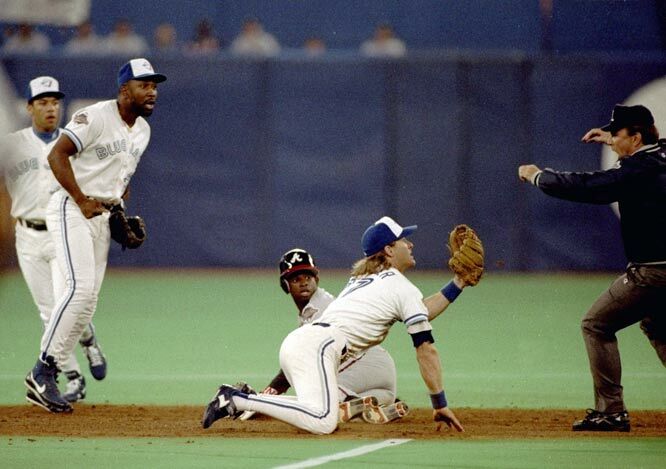 His catch touched off what should have been a triple play for Toronto: Braves baserunner Terry Pendleton passed teammate Deion Sanders on the base paths for the second out of the play, and Jay third baseman Kelly Gruber tagged Sanders on the right heel for the third out. Alas, second base ump Bob Davidson blew the call, ruling that Gruber had missed Sanders, erasing what would have been the first World Series triple play since so long ago (1920) that it was the Cleveland Indians who made it. Sometimes a coin-flip can result in a blown call. On the midfield coin flip before overtime in a Thanksgiving Day game between the Steelers and Lions, Pittsburgh running back Jerome Bettis called tails. Referee PHIL Luckett told pool reporters after the game Bettis had called ''heads-tails'' and Luckett went with the first thing he heard. The Steelers kicked off and never saw the ball again. A Jason Hansen field goal gave the Lions a 19-16 win. A Red Sox rally was doused when Jose Offerman was called out on the bases by a phantom tag from Yankees second baseman Chuck Knoblauch, who would then complete the double play. The Yankees would win the game and the series in five games. 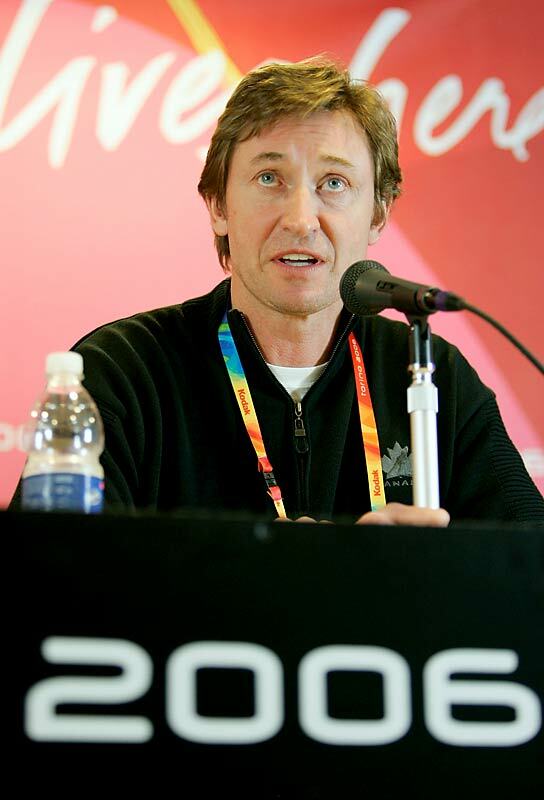 Here's one horrible non-call that we can't blame on an official: Wayne Gretzky, in his role as the executive Director of Canada's men's hockey team at the 2006 Winter Olympics, passed up Sidney Crosby in favor of older veterans such as Joe Sakic and Kris Draper. Not a great move, Great One. Russia defeated Canada 2-0 in the quarterfinals of the Turin tournament. Which no-call would you add to the gallery?